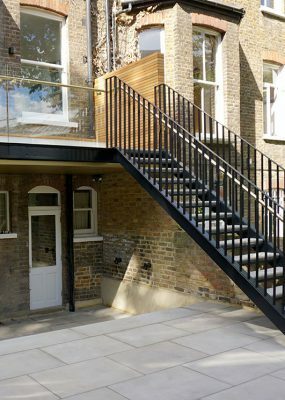 The challenge presented to us was to create a new first floor balcony with access to the lower ground floor garden that had minimal impact on the existing Victorian property. 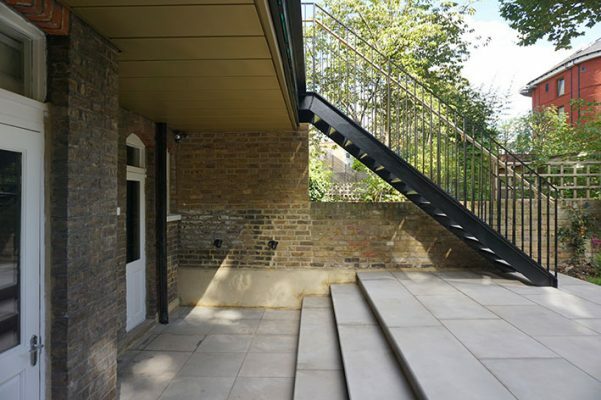 Our solution was a light, steel, glass and timber structure that floats across the building’s façade and delicately links the first floor with the mature garden below. 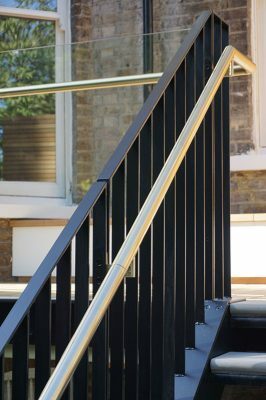 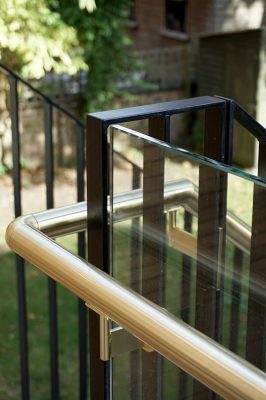 A glass balustrade provides unobstructed views from within the house with a continuous brass handrail leading down a painted metal stair into the garden. 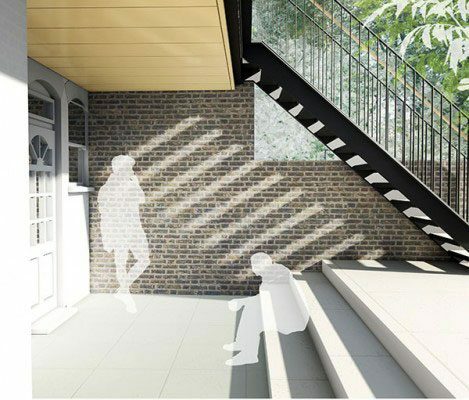 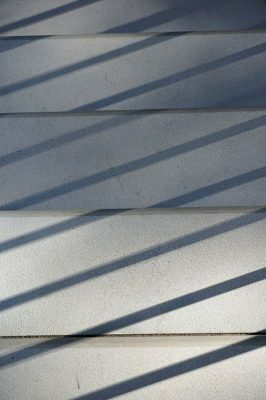 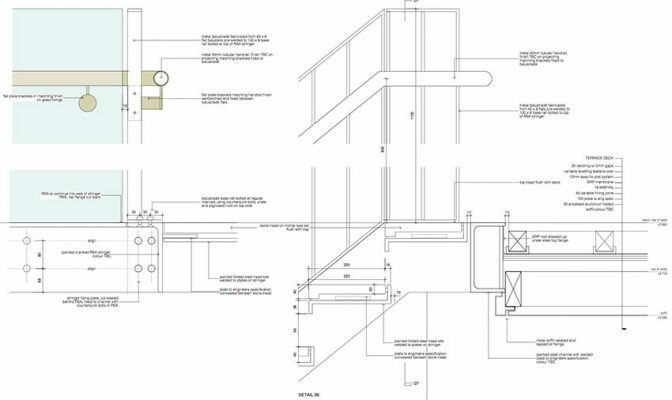 A gold zinc soffit lines the underside of the balcony and reflects the south facing garden sun towards the lower ground floor windows. 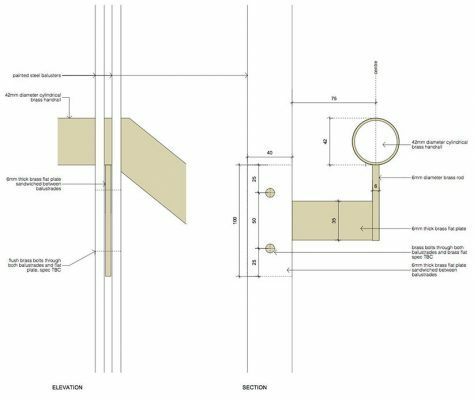 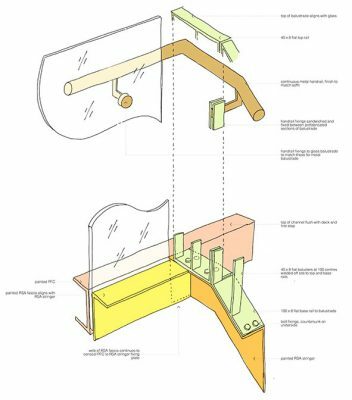 Every detail and connection was carefully considered and developed together with the structural engineer and the metal and glass fabricators. 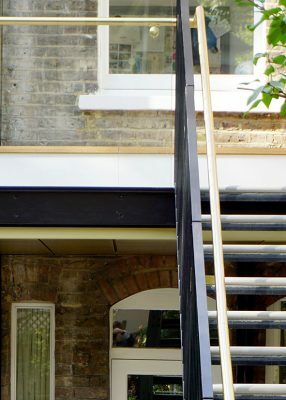 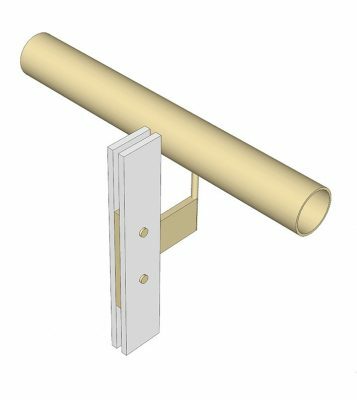 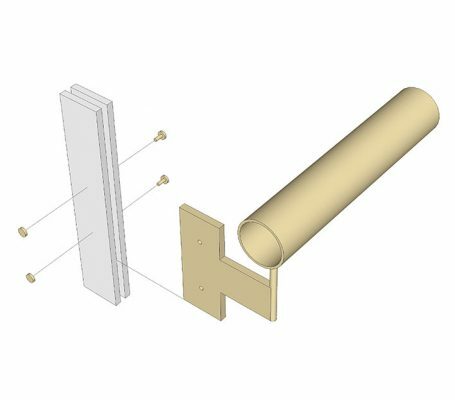 The outcome is an elegant and refined solution to an otherwise typical London balcony.